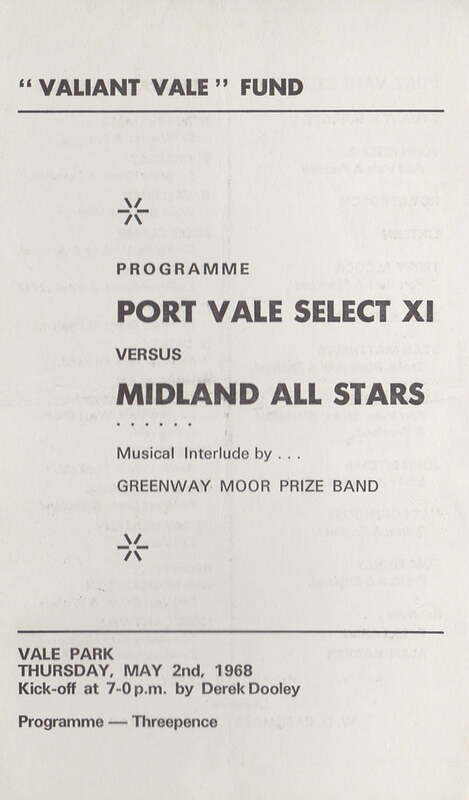 Here’s a look at the programme from a fund-raising match held at Vale Park back in 1968. 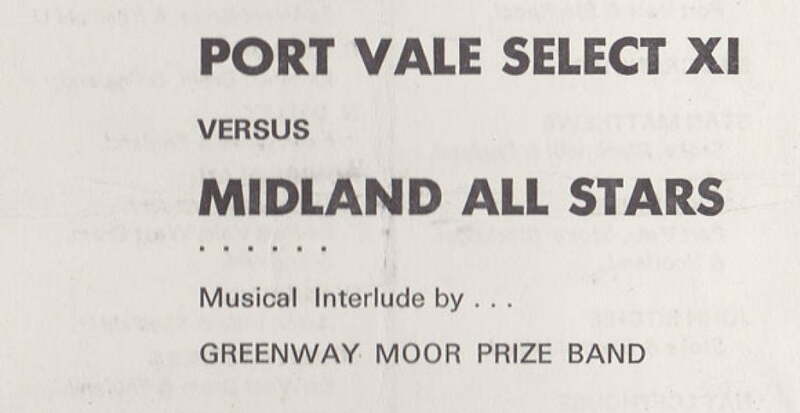 The “Port Vale Select XI” side included former favourites Ritchie and Alcock plus a rare Vale Park outing for Sir Stanley Matthews. 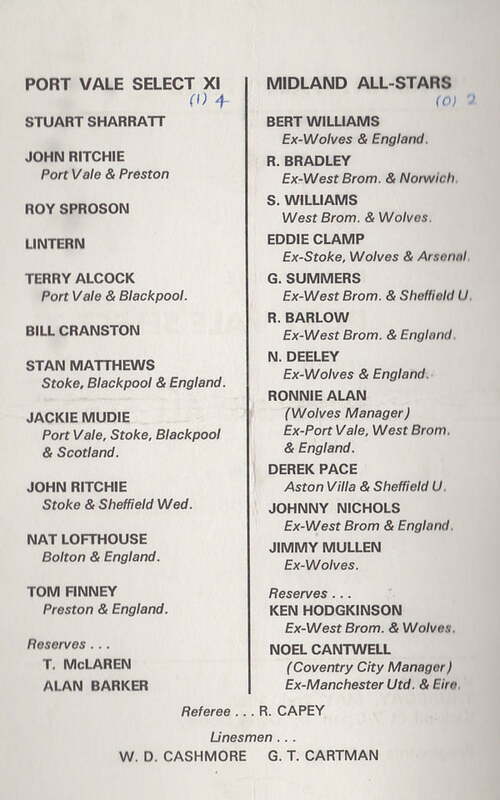 Well-known England Internationals Nat Lofthouse and Tom Finney also featured. 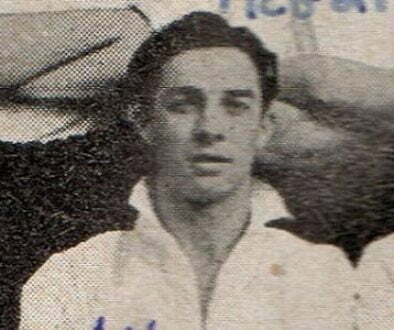 On the visiting side was Ronnie Allen (mis-spelt as “Alan”) and former Wolves goalkeeper Bert Williams. The match ended in a 4-2 win for the Vale side and helped to raise money for the “Valiant Vale” fund which raised money for the (again) financially stretched Valiants side.